Home / Blog / A fresh approach to produce. A fresh approach to produce. For nearly a year, Feed More has been working on a special project to help better serve our neighbors in need. After several months of planning and construction, this past fall, we were thrilled to open our brand-new refrigerated warehouse, dedicated to the Pauley Family Foundation that made our vision a reality. At nearly 6,000 square feet, the Pauley Family Cooler has nearly doubled our refrigerated storage space and is equipped with two different temperature zones to help ensure refrigerated items are cooled to the proper temperature. There are also special units installed that remove ethylene gas which is a natural hydrocarbon gas that is produced by some fruits as they ripen. Removing this gas will delay the ripening process and help extend the life of our produce. Our existing cooler wasn’t left out of the project either! It’s being turned into freezer space – a move that will save Feed More approximately $100,000 per year in off-site storage costs we currently pay to store frozen food products. The idea for a new, larger cooler first came about with our strategic goal to increase the amount of fresh produce we distribute from 20 percent to 40 percent. Increasing our cooled warehouse capacity is vital to achieving this goal. 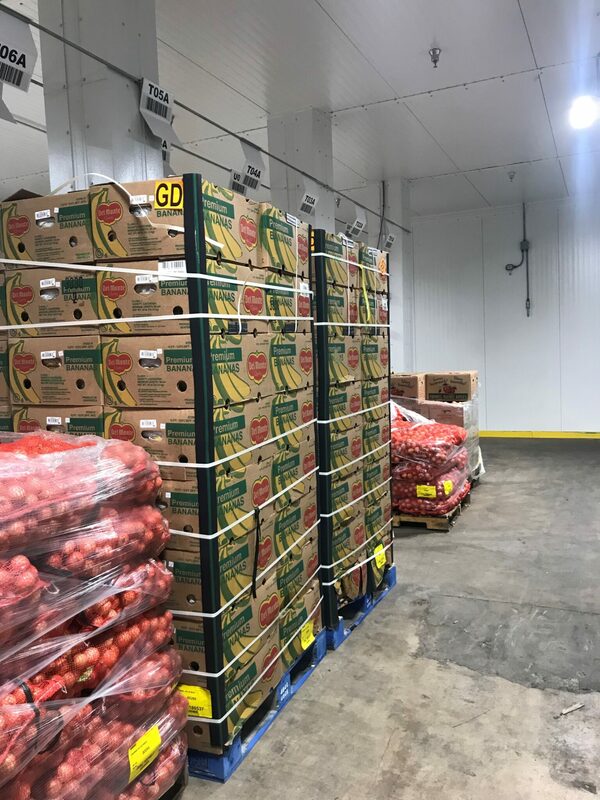 In addition to converting one bay of our warehouse to cooled space, Feed More also led an effort among 18 other food banks up and down the east coast to establish the Mid-Atlantic Regional Cooperative (MARC), and create an additional source of fresh produce. Based in Philadelphia, with its central location and massive shipping port, MARC has been an important part of helping Feed More meet our 40 percent produce distribution goal. The MARC provides Feed More with deliveries of mixed produce rather than a single shipment of only potatoes, carrots or other produce. Our renewed ability to get more fresh produce out to those in need will make a huge impact in the lives of those we serve. Between 60-70 percent of our recipients report that someone in their household lives with an illness that can be linked back to poor diet, including diabetes, obesity, high-blood pressure and heart disease. For our neighbors living with these health issues, a more nutritious diet, one filled with a variety of fresh produce, is often one of the keys to better health.